The New York Convention has been in force in Germany since 28 September 1961. Germany has not made (or withdrawn) any declarations or notifications. the Energy Charter Treaty of 1994. As of November 2018, Germany has 132 bilateral investment treaties (BITs), of which 128 are in force. Most of these BITs offer the possibility for investors to institute arbitral proceedings against the state parties to the BIT. The law on arbitration is contained in the Code of Civil Procedure (ZPO), 10th book, sections 1025 to 1066. The text can be found in German and English at www.disarb.org. The 10th book of the ZPO governs all arbitration proceedings with their seat in Germany without distinguishing between domestic and international arbitration. German arbitration law, in effect since 1 January 1998, is based on the UNCITRAL Model Law, with only a few minor differences. several provisions relating to the right of recourse to the state courts (ZPO, sections 1034(2), 1037(3) and 1041(2)-(3)). Pursuant to the ZPO, section 1051, the arbitral tribunal shall decide the dispute in accordance with such rules of law as are chosen by the parties as applicable to the substance of the dispute. Any designation of the law or legal system of a given state shall be construed, unless otherwise expressly agreed upon by the parties, as directly referring to a substantive law of that state and not to its conflict of laws rules. Failing any designation by the parties, the arbitral tribunal shall apply the law of the state with which the subject matter of the proceedings is most closely connected. The most prominent arbitral institution is the German Institution of Arbitration (DIS), with its main office in Cologne, and further offices in Berlin and Munich. The DIS was formed on 1 January 1992. The DIS Arbitration Rules (the DIS Rules) have recently been revised, with the new DIS Rules coming into force on 1 March 2018. The fee structure for arbitrators is based on the amount in dispute according to a schedule of costs, with its most recent revision dated 1 March 2018. German arbitration law has adopted a liberal and expansive view of arbitrable disputes. Generally, any claims involving an economic interest are arbitrable. Claims not involving an economic interest are arbitrable to the extent that parties are entitled to conclude a settlement on the issue in dispute (ZPO, section 1030). Examples of disputes that are not arbitrable include questions involving criminal law and most family law matters. Patent disputes are considered to be arbitrable. 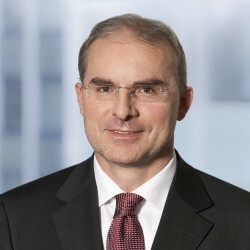 Private disputes in competition law matters may also be referred to arbitration including, for example, disputes arising out of an agreement containing restrictive trade practices. all applications for the setting-aside of corporate resolutions relating to the same matter in dispute must be put before one arbitral tribunal. any non-compliance with form requirements is remedied by the party who could raise objections to the form entering into argument on the substance of the dispute in the arbitral proceedings without raising such objection as to the form. The arbitration agreement is independent of the underlying contract (ZPO, section 1040). Therefore, avoidance, rescission or termination of the underlying contract has no influence on the arbitration agreement. An arbitration agreement can be terminated upon agreement of both parties and may be rescinded in the case of fraud or similar circumstances. The insolvency of one of the parties to an arbitration agreement does not lead to its invalidity. However, if an insolvent or impecunious party can no longer pay its share of the advance on costs, the other party must be given the opportunity to pay the entire advance on costs, but should it refuse, the arbitration agreement will become inexecutable. An arbitration agreement generally only binds the signatories of the agreement. However, in cases of assignment, agency, succession and insolvency, the assignee, principal, successor and insolvency administrator will be bound by the arbitration agreement as well. German arbitration law does not explicitly provide for such third-party participation in arbitration. It is, however, generally accepted in academic writing that a third party may join arbitration proceedings (following a third-party notice or of its own accord) if the parties to the arbitration consent to the joinder of the third party. This also means that a third party cannot (unless there is, for example, an existing multiparty arbitration agreement) be forced to join an arbitration or enforce its joinder. Thus, should a seller wish to bring the manufacturer into an arbitration between itself and the end user, it may invite the manufacturer to do so (eg, by third-party notice), but would have to obtain consent by both the manufacturer and the end user. The ‘group of companies’ doctrine has not been embraced by German court practice. In 2014, the Federal Court of Justice confirmed that the group of companies doctrine is not recognised in Germany, but may be applicable under foreign law, and that such application violates German public policy only in extreme and exceptional cases. German arbitration law does not contain an explicit provision on multiparty arbitration. However, German courts have held that all parties must have the same opportunity to influence the constitution of the arbitral tribunal (see ZPO, section 1034(2)). It is accepted in German practice that the procedure is valid when all arbitrators are appointed by a neutral third party if multiple parties on one side cannot agree on an arbitrator (see, for example, DIS Rules, section 20). Generally, any person who has the capacity to enter into a contract may act as an arbitrator. Although active judges or other civil servants may act as arbitrators, they require approval from their respective supervisory authorities before they can accept appointments. No such restrictions apply to retired judges. In 2016, the Federal Court of Justice held that the lack of such approval is no reason to set aside an award, because this only affects the relationship between the judge and the supervisory authorities. Contractually stipulated requirements for arbitrators based on nationality, religion or gender are highly likely to be recognised by German courts, at least as long as there is a valid reason for such requirement. It is generally accepted practice to stipulate, in particular, the nationality of arbitrators in arbitration agreements in order to ensure that the arbitrators are from a neutral jurisdiction in relation to the parties. Most arbitrators are practising lawyers. A small percentage are active or retired judges and law professors. Only rarely do in-house counsel or government officials act as arbitrators. There will be statistical information available from the DIS in coming years. Regarding gender diversity, the DIS has published statistical information for 2017, showing that a total of 12.6 per cent of arbitrators appointed in 2016 were female (21.2 per cent by DIS appointing committee, 9.1 per cent by parties and 18.1 per cent by co-arbitrators). Failing party determination, the number of arbitrators shall be three (ZPO, section 1034). In the absence of an agreement between the parties on the appointment of the arbitrators (ZPO, section 1035; DIS Rules, sections 10 to 13), a sole arbitrator shall, if the parties are unable to agree on his or her appointment, be appointed by the court upon request of a party (by the DIS appointing committee upon expiry of the time limit fixed by the DIS). In an arbitration with three arbitrators, each party shall appoint one arbitrator, and the two arbitrators thus appointed shall appoint the third arbitrator who shall act as chairperson of the arbitral tribunal. If a party fails to appoint an arbitrator within one month of receipt of a request to do so from the other party (21 days of receipt of the request for arbitration), or if the two arbitrators fail to agree on the third arbitrator within one month of their appointment (21 days after a request from the DIS), the appointment shall be made, upon request of a party, by the court (DIS appointing committee). The appointment of an arbitrator may only be challenged if circumstances exist that give rise to justifiable doubts as to his or her impartiality or independence, or if he or she does not possess qualifications agreed on by the parties (ZPO, section 1036; DIS Rules, sections 9 and 15). An arbitrator must disclose any circumstances likely to give rise to justifiable doubts of his or her impartiality or independence as soon as he or she becomes aware of them. Regarding grounds for justifiable doubts, the German arbitral community and courts tend to seek guidance from the IBA Guidelines on Conflicts of Interest. Failing party agreement, a party that intends to challenge an arbitrator shall, within two weeks of becoming aware of the constitution of the arbitral tribunal or after becoming aware of any circumstance referred to above, send a written statement of the reasons for the challenge to the arbitral tribunal (ZPO, section 1037). Unless the challenged arbitrator withdraws from his or her office or the other party agrees with the challenge, the arbitral tribunal shall decide on the challenge. If such challenge is not successful, the challenging party may, within one month of having received notice of the decision rejecting the challenge, request the court to decide on the challenge; the parties may agree on a different time limit. An arbitrator’s mandate terminates upon his or her own withdrawal or by agreement of the parties if he or she becomes unable to perform his or her functions, or for other reasons fails to act without undue delay (ZPO, section 1038; DIS Rules, section 16 requires a decision of the DIS Arbitration Council). If the arbitrator does not withdraw, or the parties cannot agree on his or her termination, any party may request the court to decide on the termination of the mandate. Although the ZPO is silent on the contractual relationship between parties and arbitrators, it is generally accepted that the arbitrator’s contract is a service contract. The amount of fees is usually set in either the arbitrator’s contract or in the applicable institutional rules. Arbitrators have a duty to act neutrally and may be liable for negligence under the general rules of applicable law, unless this is excluded in the arbitrator’s contract or according to the institutional rules applicable (see, for example, DIS Rules, section 45). However, arbitrators will always be liable for intentional wrongdoing or intentional breach of duty. A court before which an action is brought in a matter that is the subject of an arbitration agreement shall, if a respondent raises such objection, reject the action as inadmissible unless the court finds that the arbitration agreement is null and void, inoperative or incapable of being performed (ZPO, section 1032). The respondent must raise such an objection prior to the beginning of the oral hearing on the substance of the dispute, otherwise, it is precluded from raising such objection. The arbitral tribunal may rule on its own jurisdiction and on the existence or validity of the arbitration agreement (ZPO, section 1040). Any challenge to the arbitral tribunal’s jurisdiction must be raised no later than the submission of the statement of defence. If the arbitral tribunal rules in favour of its own jurisdiction at this stage, any party may request the court to decide the matter within one month of receipt of the arbitral tribunal’s ruling. Otherwise, the arbitral tribunal’s ruling is binding. If a party does not raise the objection in a timely manner, it will be precluded from raising such objection at a later point in time (ZPO, section 1027). Failing party agreement, the place of arbitration shall be determined by the arbitral tribunal with regard to the circumstances of the case, including the convenience of the parties (ZPO, section 1043). In any event, the arbitral tribunal may, unless otherwise agreed by the parties, meet at any place it considers appropriate for an oral hearing. Failing party agreement, the arbitral tribunal shall determine the language or languages to be used in the proceedings (ZPO, section 1045). A claimant can initiate arbitral proceedings by sending a notice of arbitration to the respondent (ZPO, section 1044). The proceedings commence on the date on which the notice of arbitration is received by the respondent. The notice of arbitration must include the names of the parties, a short description of the issues in dispute and a reference to the arbitration agreement, and should further include the nomination of an arbitrator. Proceedings under the DIS Rules commence upon receipt of the request for arbitration by the DIS secretariat (DIS Rules, section 6). The request for arbitration shall contain the identification of the parties and counsel, specification of the relief sought, an estimate of the amount in dispute, a description of the facts and circumstances on which the claims are based, reproduction of the arbitration agreement, proposals on the seat and language of the arbitration and the law applicable to the merits, and, where applicable, nomination of an arbitrator. The request for arbitration shall be submitted in electronic form and paper form in a number of copies sufficient to provide one copy for each party and for the DIS (DIS Rules, section 4.2). The DIS secretariat will deliver the request for arbitration to the respondent if the request for arbitration contains the necessary content, the DIS has received the necessary number of copies and the claimant has paid the administrative fee (DIS Rules, section 5). An express requirement of signature of a notice of arbitration does not exist under the ZPO or under the DIS Rules, but there are strong arguments for the necessity of such a requirement. The parties may choose whether they want the proceedings to include an oral hearing (ZPO, section 1047(1); DIS Rules, section 29). Failing party agreement, this decision is up to the arbitral tribunal. Failing party agreement and in the absence of provisions in German arbitration law, the arbitral tribunal shall conduct the arbitration in such a manner as it considers appropriate. The arbitral tribunal is empowered to determine the admissibility of taking evidence, take evidence and freely assess such evidence (ZPO, section 1042). Witnesses, experts, documents and inspection are admissible as evidence. The arbitral tribunal has full discretion on how to conduct the taking of evidence. It is accepted that anyone can be a witness, including parties or party officers. Although in domestic court proceedings court-appointed experts are the norm, party-appointed experts are regularly used in arbitration. There is a distinct tendency in the German arbitral community to seek guidance from the IBA Rules on the Taking of Evidence, but not to agree upon their applicability specifically in a procedural order. court assistance in taking evidence (ZPO, section 1050). There is no provision on confidentiality in German arbitration law. According to the confidentiality provision under DIS Rules, section 44, the parties, their outside counsel, the arbitrators and DIS employees, and any other persons associated with the DIS who are involved in the arbitration, shall not disclose to anyone any information regarding the existence and conduct of arbitral proceedings, and in particular regarding the parties involved, the nature of the claims, the witnesses, the experts and other evidentiary materials. Exceptions apply where required by applicable law, by other legal duties or for purposes of the recognition and enforcement or annulment of an arbitral award. Further, the DIS may publish statistical data, and may publish the award only with the prior written consent of all parties. An arbitration agreement shall not prevent a court from granting, at the request of a party before or during arbitral proceedings, an interim measure relating to the issue in dispute in the arbitral proceedings (ZPO, section 1033). There is no exclusivity for courts or for the arbitral tribunal. Neither German arbitration law nor the DIS Rules provide for an emergency arbitrator. Only the DIS Sports Arbitration Rules in section 20 provide for the option of an agreement between the DIS and a sports organisation for an arbitrator to be available at all times for interim measures prior to the constitution of the arbitral tribunal. The unique process organised by the DIS means that an arbitrator is available 24 hours a day. There are approximately 100 sports arbitrators accepted by the DIS, each of whom must make himself or herself available as an emergency arbitrator for three or four days a year. A list of who is on standby is available on the internet. Unless otherwise agreed by the parties, the arbitral tribunal may, at the request of a party, order such interim measures as it may consider necessary in respect of the subject matter of the dispute (ZPO, section 1041; DIS Rules, section 25) or, in exceptional circumstances, security for costs. Furthermore, the arbitral tribunal may require any party to provide appropriate security in connection with such measure. Decisions may include orders for a bank guarantee or an attachment. To enable enforcement the court may, at the request of a party, permit enforcement of such a measure ordered by the arbitral tribunal unless application for a corresponding interim measure has already been made to a court. The court may amend such an order if necessary for enforcement of the measure. There are no specific rules in German arbitration law or in the DIS Rules allowing arbitral tribunals to order sanctions. However, the arbitral tribunal can sanction the parties in the context of its costs decision, where it has discretion to take into consideration any circumstances it considers appropriate (see question 40), including the use of ‘guerrilla tactics’ in the course of the arbitration. Under DIS Rules, section 33, the arbitral tribunal is explicitly entitled to take into account the extent to which the parties have conducted the arbitration efficiently when making decisions concerning costs. There are no reported cases where an arbitral tribunal or the DIS has sanctioned counsel directly for using guerrilla tactics or for gross violations of the integrity of the arbitral proceedings. However, there is no rule in German arbitration law or in the DIS Rules that would prohibit the arbitral tribunal or the DIS from doing so. An arbitral tribunal might consider reporting such activity to the relevant bar association, or - if the conduct amounts to a criminal act - to the public prosecutor. No such cases have been reported either, which may be owing to the confidentiality obligation of arbitral tribunals, which stops them from reporting such activity. Any decision of the arbitral tribunal shall be made, unless otherwise agreed by the parties, by a majority of all its members. If an arbitrator refuses to take part in the vote on a decision, the other arbitrators may take the decision without him or her, unless otherwise agreed by the parties. Individual questions of procedure may be decided by the chairperson alone if so authorised by the parties or all members of the arbitral tribunal (ZPO, section 1052 and DIS Rules, section 14). German arbitration law is silent on the question of whether an arbitrator may issue a dissenting opinion. It is, however, generally accepted that a dissenting arbitrator may issue such an opinion, as long as he or she observes the fundamental principle of the secrecy of the internal deliberations of the arbitral tribunal and does not reveal such deliberations. The award shall be made in writing and shall be signed by the arbitrator or arbitrators. In arbitral proceedings with more than one arbitrator, the signatures of the majority of all members of the arbitral tribunal shall suffice, provided that the reason for any omitted signature is stated. The award shall state the reasons upon which it is based, unless the parties have agreed that no reasons are to be given or the award is an award on agreed terms. The award shall state its date and the place of arbitration (ZPO, section 1054 and DIS Rules, section 39). There is no explicit time limit for rendering an award under German arbitration law. In DIS proceedings, the award is to be rendered in principle within three months after the last hearing or the last authorised submission (DIS Rules, section 37). The DIS Arbitration Council is entitled to reduce the fee of one or more arbitrators based upon the time taken by the arbitral tribunal to issue its final award. The date of the award is not of decisive importance. The date of delivery of the award is decisive for applications for correction and interpretation of an award and for applications for setting aside an award. Possible types of awards are final, partial, interim or interlocutory, and awards on agreed terms. the arbitral tribunal finds that the continuation of the proceedings has for any other reason become impossible (ZPO, section 1056; DIS Rules, section 42). Unless the parties agree otherwise, the arbitral tribunal shall allocate, by means of an arbitral award, the costs of the arbitration between the parties, including those incurred by the parties necessary for the proper pursuit of their claim or defence. It shall do so at its discretion and take into consideration the circumstances of the case, which may include the outcome of the proceedings and the extent to which the parties have conducted the arbitration efficiently (ZPO, section 1057; DIS Rules, section 33). In domestic arbitration proceedings in Germany, arbitrators will usually adhere to the general principle in German civil procedure that the costs will be allocated in proportion to the outcome. Recoverable costs include costs of the arbitrators, costs of the parties, costs for the taking of evidence and fees for representation. An arbitral tribunal may award interest to the extent that applicable substantive law allows a claim for interest. Any party may request the arbitral tribunal to correct in the award any errors in computation, any clerical or typographical errors or any errors of a similar nature, or to give an interpretation of specific parts of the award, or to make an additional award as to claims presented in the arbitral proceedings but omitted from the award. Such a request shall be made within one month (30 days) of receipt of the award. The arbitral tribunal shall make the correction or give the interpretation within one month and make an additional award within two months (in DIS arbitrations within 30 days of receiving the request). Upon its own initiative, the arbitral tribunal may make a correction of the award (in DIS arbitrations within 60 days after the date the award was made) (ZPO, section 1058 and DIS Rules, section 40). recognition or enforcement of the award leads to a result that is in conflict with public policy. Unless the parties have agreed otherwise, an application for setting aside may not be made after three months have elapsed since the party making the application received the award. Applications for the setting aside or enforcement of an arbitral award must be made before the competent Higher Regional Court. There is only one level of appeal with the Federal Court of Justice. Enforcement proceedings or setting aside proceedings, and the appeal, will each take anywhere between three months and one year. The costs incurred at each level depend on the amount in dispute (see question 49). The costs will generally be apportioned taking into account the outcome of the proceedings; namely, the losing party will carry the court fees and the statutory lawyer’s fees of both parties. German courts tend to look favourably upon enforcing awards. Slightly different procedures exist for enforcement of foreign and domestic awards. Enforcement of the award takes place if it has been declared enforceable. The application for a declaration of enforceability shall be refused and the award set aside if one of the grounds for setting aside exists (see question 43). Grounds for setting aside shall not be taken into account if, at the time when the application for a declaration of enforceability is served, an application for setting aside based on such grounds has been finally rejected. Furthermore, the grounds for setting aside for the reasons listed in the first bullet point in question 43 shall not be taken into account if the relevant time limits have expired without the party opposing the application having made an application for setting aside the award. The grounds listed in the second bullet point in question 43 are to be observed ex officio. The recognition and enforcement of foreign arbitral awards shall be granted in accordance with the New York Convention. If there are grounds for refusing a declaration of enforceability, the court shall rule that the arbitral award is not to be recognised in Germany. If the award is set aside abroad after having been declared enforceable, an application for setting aside the declaration of enforceability may be made. There is no specific time limit for requesting the enforcement of arbitral awards. However, claims arising out of arbitral awards will be time-barred after 30 years. German courts have a tendency not to enforce foreign awards set aside at the place of arbitration. Since neither German arbitration law nor the DIS Rules provide for an emergency arbitrator, there are no specific rules on enforcement of orders by emergency arbitrators. However, such orders should be treated as arbitral interim measures (ZPO, section 1041) and are enforceable as such (see question 31). The costs incurred in enforcing awards depend on the amount in dispute according to the cost schedules for court fees and for lawyer’s fees. To enforce an award of €100,000, court fees will be approximately €1,700 and the lawyer’s fees approximately €3,000 for each party. These fees are to be paid by the losing party. The German judicial system is dominated by active case management by judges and very limited document production provisions. A German arbitrator may structure domestic arbitration proceedings closer to the standards of the ZPO, but in international proceedings he or she will usually adhere to international standards. There are no specific professional or ethical rules applicable to counsel in international arbitration. Since document production and written witness statements are not common in domestic court proceedings, the IBA Guidelines on Party Representation in International Arbitration can provide useful guidance for German counsel in international arbitration. It is assumed - but difficult to determine - that best practice in Germany does not contradict the IBA Guidelines on Party Representation in International Arbitration. There are no regulatory restrictions on third-party funding of arbitral claims. Third-party funding is still in its infancy, but third-party funders are slowly gaining ground with German parties, in particular for large arbitral claims. Active judges and state officials require official permission and may only serve as sole arbitrators or chairpersons. The new DIS Rules came into force on 1 March 2018. This is the first reform of the DIS Rules in 20 years. The DIS Rules 2018 provide innovations dealing with the efficiency of the proceedings, cost effectiveness, multi-contract and multiparty arbitrations, and the transparency of the proceedings. They focus on providing a modern dispute resolution mechanism for German and international disputes, while placing emphasis on the traditional German approach that encourages arbitral tribunals to facilitate settlement between the parties. They also provide for active case management from the arbitral tribunal, requiring a case management conference to take place within 21 days of the constitution of the arbitral tribunal. Additionally, the DIS has published annexes with measures for increasing procedural efficiency and on expedited proceedings. This includes limiting the length and number of submissions, limiting the duration of the oral hearing, dividing the proceedings into individual stages, and having the arbitral tribunal provide a preliminary assessment on the facts and on the law. If expedited proceedings are used, each party can make two submissions and the final award is to be rendered in principle within six months of the case management conference. A review process for modernising the arbitration law remains ongoing since 2016. However, no major reforms are expected. The discussions have focused on a review of other modernised arbitration laws, the modernised UNCITRAL Model Law and a readjustment of some of the currently effective German arbitration law provisions. In the enforcement proceedings arising out of the arbitration between Eureko BV (now Achmea BV) and Slovakia (PCA Case No. 2008-13, UNCITRAL), the European Court of Justice rendered its decision on the request for guidance from the German Federal Court of Justice on 6 March 2018 (Case C-284/16 - Slovak Republic v Achmea BV), finding that the arbitration clause contained in the BIT between the Netherlands and Slovakia violated EU law and was, therefore, inapplicable. On 31 October 2018, the German Federal Court of Justice set aside the €22 million award, finding that there was no valid arbitration agreement. 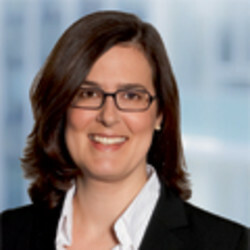 This likely means that in Germany all arbitration clauses in BITs between EU member states will be held inapplicable insofar as they provide that an investor of one member state is entitled to initiate arbitration proceedings against another member state in an investment dispute. According to www.german-investment-treaty-disputes.de (which was set up to track investment treaty disputes with German involvement), a total of 26 claims initiated by German investors are pending as of May 2018. Only one investment treaty dispute is pending against Germany, initiated by Vattenfall (Vattenfall AB and others v Federal Republic of Germany, ICSID Case No. ARB/12/12). Germany is currently strongly contesting the jurisdiction of the arbitral tribunal, on the basis of the European Court of Justice’s decision in Slovak Republic v Achmea BV. In light of this case law, it also appears likely that intra-EU BITs in the long run will be terminated, although the official German position is that this question is under review and discussion with the EU Commission, and a decision has not yet been made. Poland terminated the Polish-German BIT on 18 October 2018. The BITs in place between EU member states and Singapore and Vietnam, respectively, will be terminated once the EU-Singapore and EU-Vietnam trade and investment agreements come into force, which is not expected to take place in 2019. Gleiss Lutz is one of Germany’s leading full service law firms. We have over 300 lawyers, including 88 partners with offices in Berlin, Düsseldorf, Frankfurt, Hamburg, Munich, Stuttgart and Brussels.